Heated grips only warm the inside - getting the wind off the outside have a massive effect on your comfort. My brother's K1100RT feels warmer around the hands without heater than a naked bike with heated grips in my experience. Adding the hand guards on the MT07 made a big difference on comfort for my digits. I just installed these grips today. Set them to the >600cc mode and they get hot! Very happy with the heat they are producing. I wired them directly to the battery as per the instructions and will leave them like that unless something happens and they don't turn off. I tested them three times and they shut off on their own after 1m45s. Knowing how I am, I'll most likely turn them off myself each time I shut off the bike, but the added security is welcoming. For anyone still wondering about the heated grip length vs stock, here are a few pics. You do give up a bit of hand space but you'll notice in the second pic that it contours the thumb area nicely. Also, grip thickness is pretty much the same. Look up heated grips on Revzilla. 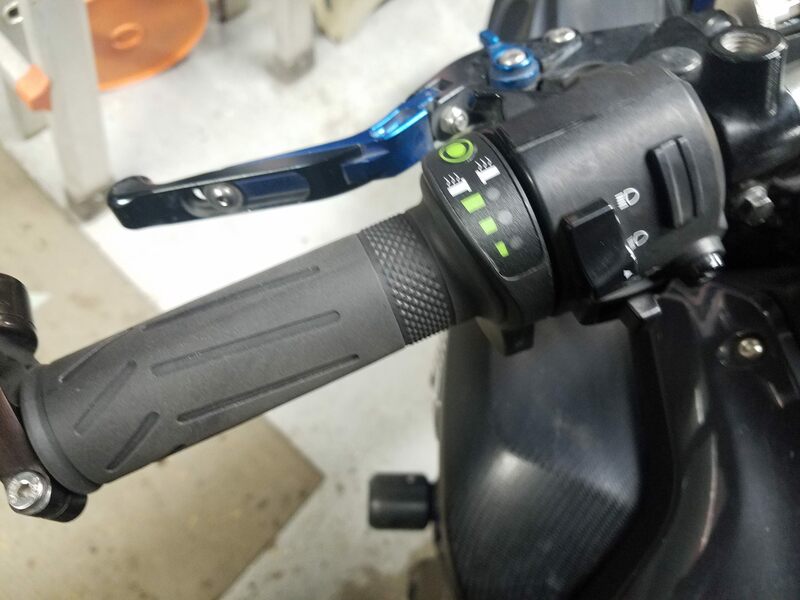 Koso Apollo heated grips. So this may be a year behind but this year I have an fz07! I was wondering if you had to buy the recommended electrical harness that yamaha suggests on the website? 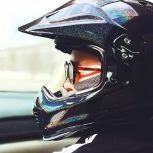 The eBay options don’t mention them but the US yamaha website you link has them as a required additional purchase. I was about to pull he trigger today but wanted to be sure I had everything. I believe that harness lets you connect to the OEM aux plug that is located under your passenger seat. This is another measure to prevent you from turning on the grips with the bike off since that aux plug only has power when the key is on (I THINK). Without that, it just hooks up directly to the battery. I did not get the harness. 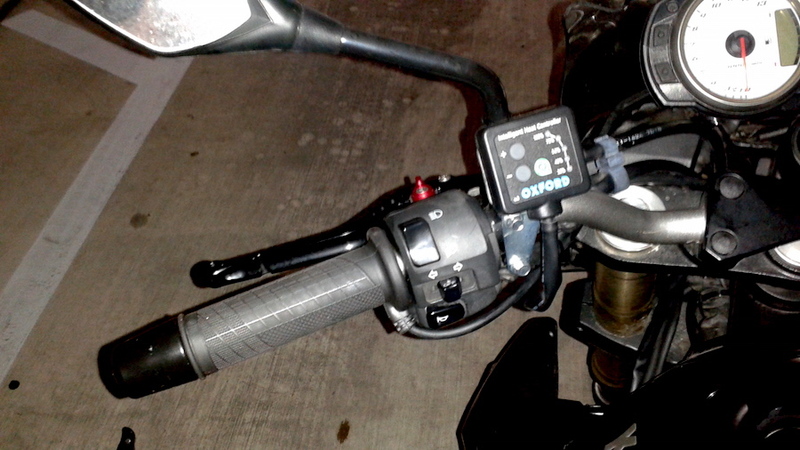 The grip controller has a built-in voltage detector that auto shuts off the grips if it detects low voltage (e.g. when the battery is low or bike is off) so I feel the harness is unnecessary. It has been working great for me for the last year. 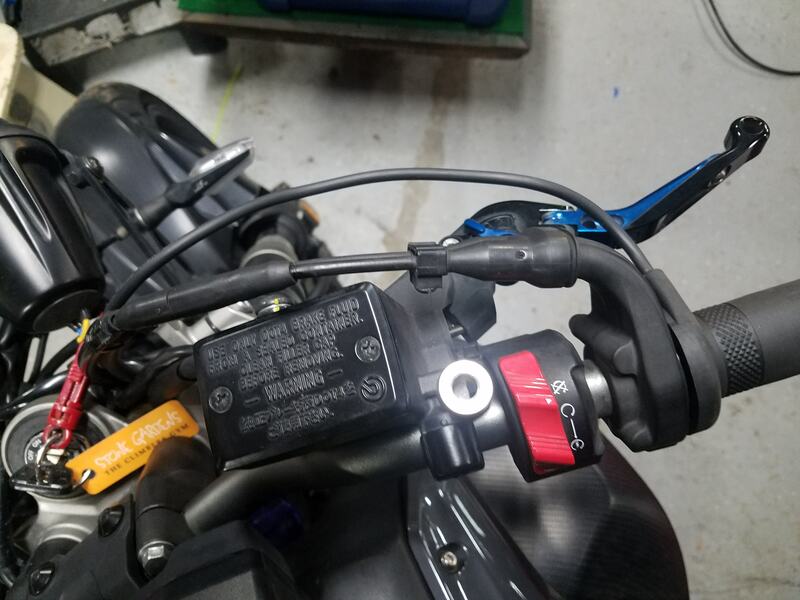 @RunningonMT, if you look at the website it says it is a required item, but the fitment for the harness shows only FZ/MT-09. I have the grips and did not need a harness. I do not think the aux plug has enough current capability to power the grips. They work great powered straight from the battery and I sometimes (maybe often ) accidently leave them on when I turn off my bike and the auto shutoff function works fine. Thanks to Albatrosscafe and Mjh937 for the responses! This is also a late post but wanted to give some recent review input. Quick review: 18 degrees Fahrenheit equals 30-43 minutes of riding at tolerable finger comfort with tingling pains at the end of the ride. It’s Holiday season in Baltimore, MD which means 23-40 degree Fahrenheit temps for the daily commute. Real feel as low as 18 so far. I wear the joe rocket rechargeable heated gloves as my winter gear but the electrical harness separated in an accident last December so they only work as regular gloves. I have the Powermadd handguards and stock levers/ bars. In the coldest conditions I alternate fingers for lever control and flex my fingers every 5 minutes or so to keep up the circulation. At 30+ it’s not so bad but I only go out for fun on weekends or after work if it’s 36 or over. I’ve worn ski glove liners inside but it prevents the heat transfer and the outer glove insulation prevents wicking so any hand moisture freezes and makes my hands colder. Some rubber/latex gloves actually work better. That’s as specific as I can be about comfort but my plan is to try the eBay heated gloves which look like the same make as the joe rockets except the branding. I think some outer heating will do the trick but I’m definitely open to suggestions. Good luck to any other winter riders and if your in the area and see a top box with Christmas lights then I’m only passing you to spread holiday cheer! Thanks for all the reviews, comments, and such. The weather in the bay area is way too cold to not have these if you're riding year round. JUST bought em. Can't wait to install them. was sold on the oxford grips because i didnt know there was much for options but these look good compared to others. whats the price tag on these grips? $108 off of EBay. Like @AlbatrossCafe, I found the Oxford controller an eye sore that just took up even more handlebar space. 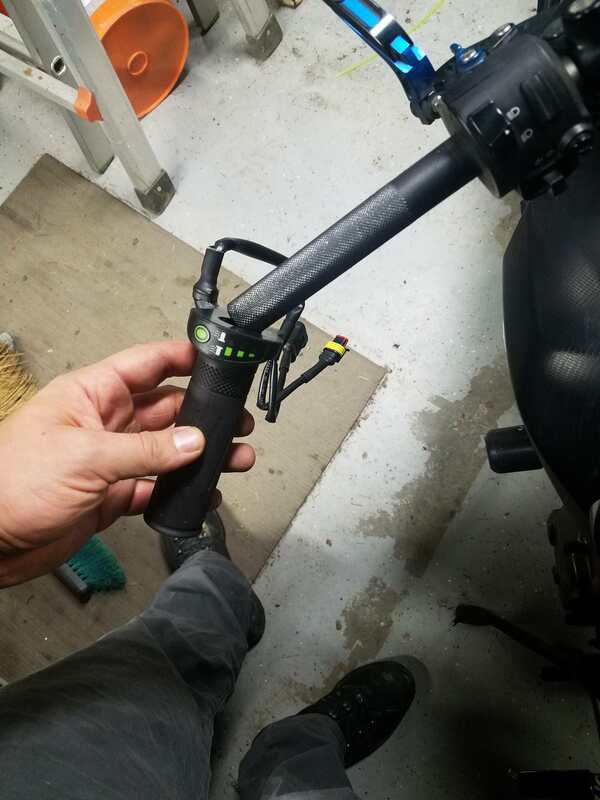 My wife has the BikeMaster heated grips on her bike and loves them but they’re much thicker than stock and have a similar controller to the Oxford grips. The Koso Apollo grips that @Old Man linked to above look pretty nice. Not sure how they perform though. Woo woo, got these babies installed! I think the only gripe my wife has so far is that it's increased the diameter for her tiny hands, so reaching the levers are harder... will play around with moving stuff to try and make it better, but the hands are definitely warmer. Those are great heated grips! Just about to order them myself! BAH TO YOU. Have you been to NORCAL?! LOL you deceived me! JK. Well if you ever... LMK!